During the month, traffic to and from Southwest Pacific and South Asia registered growths of 8% and 4.9% respectively. Passenger traffic to and from Thailand continued to rise, increasing 20% over the previous year with Bangkok traffic soaring 30%. China traffic rose an encouraging 3.4%. In the first quarter of 2015, Changi Airport handled 13.1 million passengers, 0.9% lower than the previous year. Aircraft movements were lower by 2.5% to 84,060. Airfreight movements registered an increase of 0.8% to reach 450,400 tonnes. Overall, traffic was weaker across most regions although there was a 4.7% increase for the quarter for South Asia traffic. 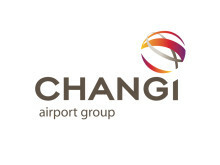 As at 1 April 2015, more than 100 airlines operate at Changi Airport, connecting Singapore to some 320 cities in 80 countries and territories worldwide. 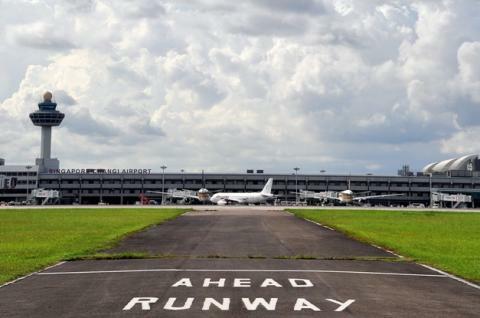 With more than 6,600 weekly scheduled flights, an aircraft takes off or lands at Changi roughly once every 90 seconds. New City Link & Services – The Northern Summer 2015 season began in March, with a series of new services introduced at Changi Airport. Oman Air commenced its daily Muscat – Singapore – Kuala Lumpur service on 29 March, adding Muscat as a new passenger city link for Changi Airport. The service replaced the previous Muscat – Kuala Lumpur non-stop service. Xiamen Airlines now offers daily non-stop services to Fuzhou and Hangzhou, replacing the previous daily Hangzhou-Fuzhou-Singapore service. With this change, Xiamen Airlines now offer four daily flights to seven Chinese cities. The Singapore – Hangzhou service continues to Xi’an, making Xiamen Airlines the second carrier to offer flights from Singapore to Xi’an. Tigerair has also commenced flights to the Chinese cities of Guilin and Nanning, serving these cities once and three times weekly respectively. Lao Airlines has expanded its Vientiane service to operate onwards to Luang Prabang, a new city link for Changi Airport. The Singapore – Vientiane – Luang Prabang service operates thrice weekly. New Stores – Changi Airport saw a large number of new offerings in the last month. At Terminal 2, several fashion, lifestyle and sports brands such as adidas, Lacoste, Avenue Kids and Montblanc, opened new stores within the transit area, providing fresh retail options for passengers. Bratpack has opened its first transit store at Terminal 3, offering passengers a well curated range of casual bags and accessories. Passengers who need to purchase last minute gifts now have added options at So Chocolate and Cocoa Trees, which have opened new outlets in the transit areas of Terminal 2 and 3 respectively. Passengers looking for new dining choices at Changi Airport are in for a treat this month. Within the transit area of Terminal 1, Italian café operator Culto Caffe opened its first outlet in Singapore, offering its famed Italian coffee for its fans. Over at Terminal 3’s transit area, passengers looking for a quick bite can now enjoy treats from Dunkin Donuts and Hong Kong Sheng Kee Desserts, which have opened new outlets. Famed ramen chain Ippudo also opened its first airport store, Ippudo Express, with a new unique product on its menu – dip sandwiches – in addition to its signature ramen. For those looking for a pint before their flight, they can now chill out at the new Carlsberg Sports Bar.